FRANKFORT, Ky. — The Kentucky Industrial Hemp Commission on Thursday directed Kentucky Department of Agriculture staff to begin writing regulations governing industrial hemp production in the commonwealth and voted to serve notice to the federal government that Kentucky is moving forward. The commission called for a letter from Commissioner Comer and U.S. Sen. Rand Paul to the U.S. Department of Justice to make Kentucky's intentions known. Sen. Paul's office has indicated that he is willing to sign on to such a letter. Industrial hemp is legal under Kentucky law, and at a recent U.S. Senate Judiciary Committee meeting, a DOJ official indicated that the federal government will not prosecute hemp farming. Commissioner Comer presented at a hemp briefing on Tuesday in Washington, and on Thursday he told the commission that the response was "very positive." Comer and U.S. Reps. Thomas Massie of Kentucky and Jared Polis of Colorado held the briefing to educate congressional staffers about the differences between hemp and marijuana and the many uses of industrial hemp. "At the conclusion of the briefing, the mindset of the congressional staffers present was that this is a no-brainer and that we should be doing this," Comer said. KDA attorney Luke Morgan told the commission a 2003 federal regulation clarifies that industrial hemp is not marijuana and the federal Drug Enforcement Administration does not have jurisdiction over hemp. "Industrial hemp is not marijuana," Morgan said. "That’s a fact, but it's also the law." Commissioner Comer said the state agriculture department receives requests on a daily basis from businesses that want to move to Kentucky and process hemp. "As a farmer, my No. 1 priority is to give farmers another tool in their tool box," Comer said. "This will be successful only if there will be companies to purchase hemp from farmers. We have to be able to locate processors in the state." Comer said poultry and equine businesses have expressed interest in hemp bedding, which would be easy to process and would "jump start" the industry in Kentucky. 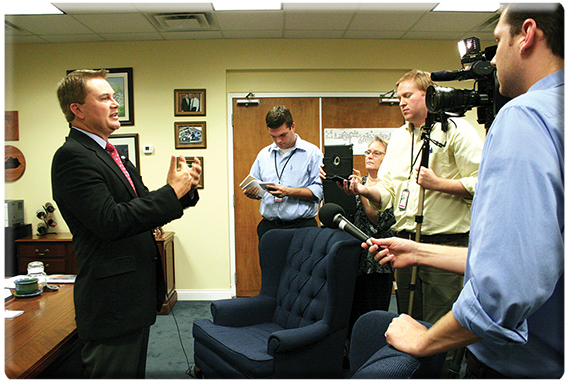 "Looking down the road 10 years from now, hemp will have a significant positive impact on Kentucky agriculture," Comer said. At the close of today’s meeting, commission member Craig Lee resigned in order to pursue a position with the Kentucky Hemp Growers Cooperative Association.